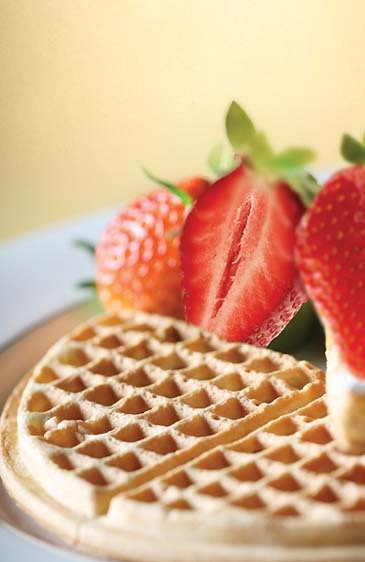 "Fresh Strawberry & Belgium Waffle"
The lobby lounge & deli at Sofitel Ambassador Seoul features freshest combination of strawberry and Belgium waffle. Strawberry, the fruit of spring, is abundant in Vitamin C and goes well with milk, cream, say milk, honey, etc. The Lobby Lounge delivers the freshness with strawberry tart, strawberry platter, strawberry cake and more. Also, a selection of waffle is available from 10,000won to 13,000won. The Belgium waffle, different from American crispy waffles, brings chewy taste with low calorie making it good for women's diet.